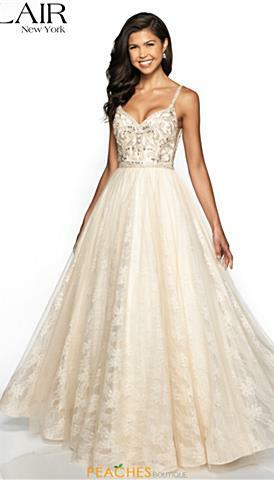 Champagne Prom dresses are a fashion forward choice for your social occasion and we have a variety of styles to choose from. 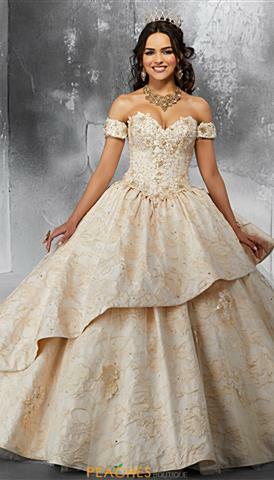 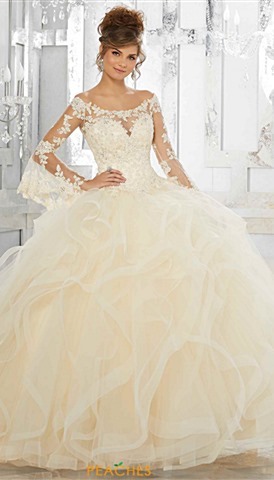 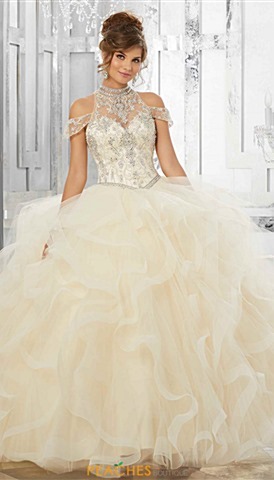 We carry a huge selection of champagne color engagement dresses that will get you noticed at the next social event. 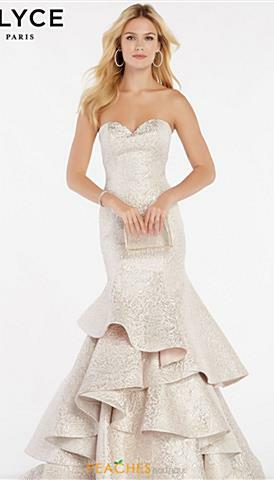 Compliment your champagne colored dress with shimmery makeup and a chic hair style. 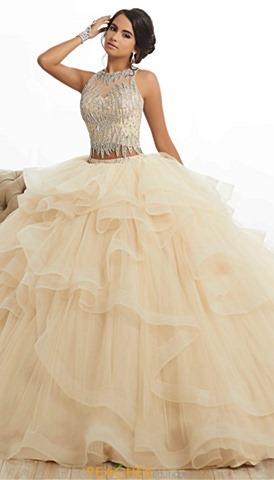 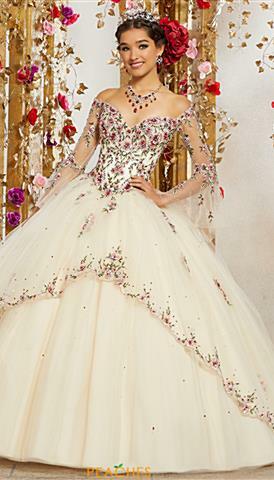 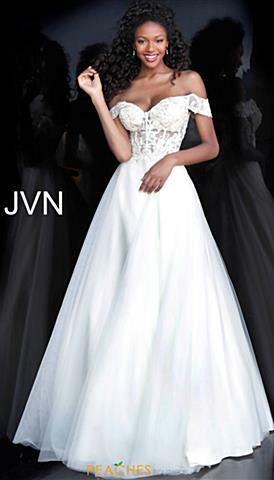 Be right on trend with a beaded champagne fitted style, a strapless ball gown with full skirt, or select a two piece champagne style that will show off your curves. 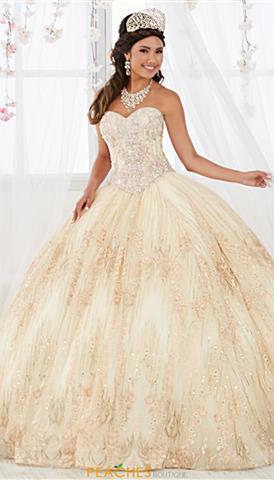 Trending for prom this season are champagne glitter dresses that will sparkle beautifully at your special occasion. 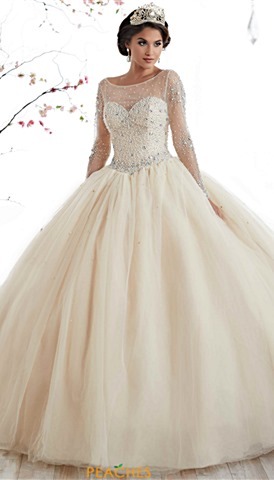 Champagne short dresses are a stunning choice for bridesmaids dresses or damas dresses. 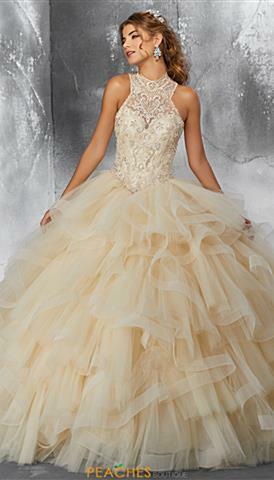 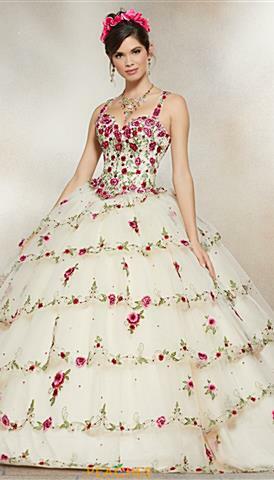 Order your champagne prom dress today! 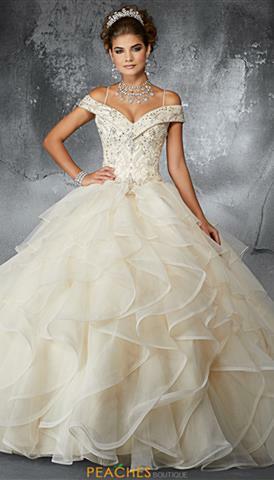 We offer free ground shipping, returns and exchanges, plus no tax (outside of Illinois).